When we see DJs mixing behind the booth, rarely do we consider the sacrifices they made to pursue their given career. 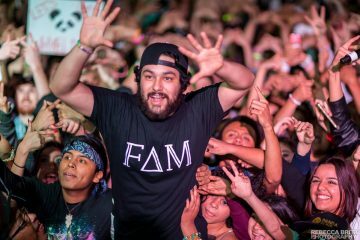 Some rocketed to the music world in fear of monotonous lifestyle, but Erick Orrosquieta, best known as Deorro stood at the fork in the road between music and becoming a Trauma Surgeon. At 24 years of age, Orrosquieta has gone through more than someone nearing their late 30’s- becoming a father in the first years of High School, taking care of a mother who was too sick to work, and getting a job as well as DJing on the side to support his family. Working at a retirement community with people who were at the edge of passing away gave him the drive to pursue his medical passion, but attending Nocturnal Wonderland in 2007 planted a different bag of seeds in his head. Following that festival, Deorro would bus it to Guitar Center and practice with the gear there to learn on his own, drawing him further into the world of music. “It was hard because I didn’t want to be selfish,” he says of the decision to give up a more conventional career path. “I wanted to help out with my family and my girlfriend’s family. I had this dilemma. 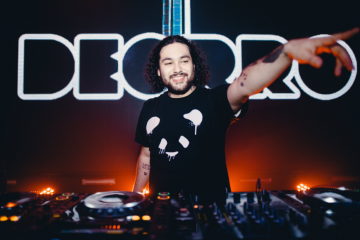 While the rest is known history, Deorro’s relatively unknown past helps make sense of his outlook today; he’s stayed true to his values of taking care of his own at all times, serving as a role model for people his age who may want to follow in his footsteps. Read the full interview with LA Weekly here.